PKA Ravenshead was opened in February 2016 and caters for adults and children of all fitness abilities. The club meets every Monday evening in our private room at Ravenshead Leisure Centre. The leisure centre is a short drive from neighbouring towns such as Rainworth, Blidworth, Papplewick, Sutton in Ashfield, Hucknall and Mansfield. 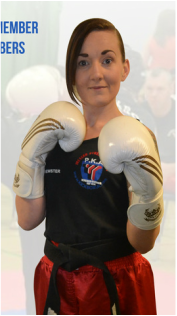 The club is taught by 1st Degree Black Belt Instructor Leah Brewster.